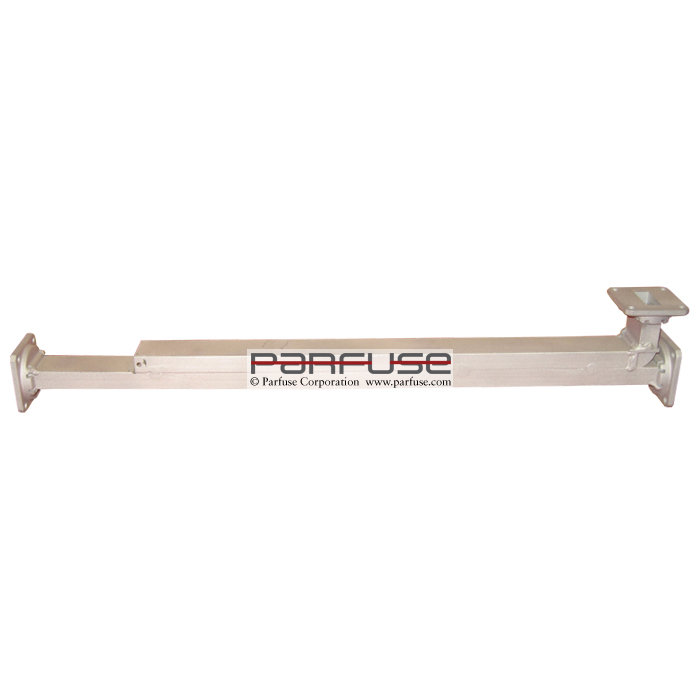 Thin wall airborne waveguide component used in satellites have been a steady runner at Parfuse - close to 50,000 plus have been dip brazed at Parfuse from straight sections to multiple joints, held flange to flange dimensions and leak tight. 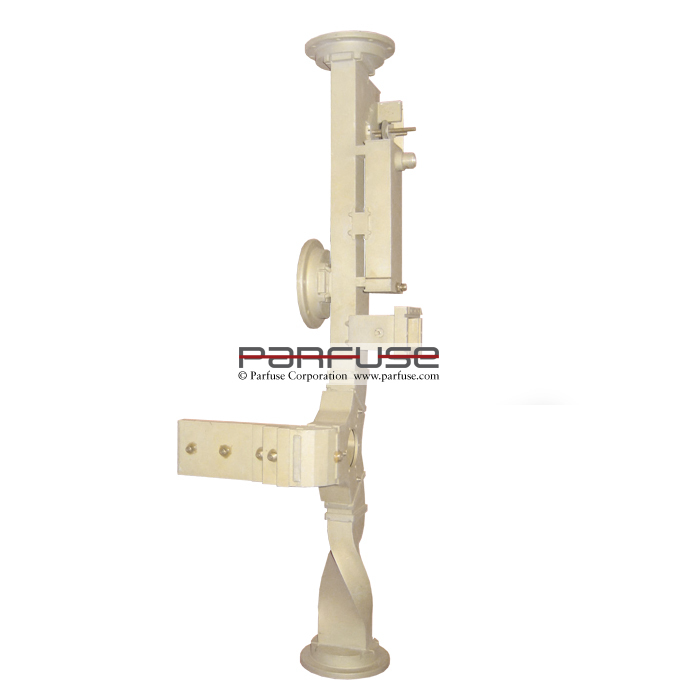 A typical broadwall coupler processed at Parfuse. 1000's of waveguides per week are cleaned, assembled, dip brazed, ground, heat treated and pressure checked for customers worldwide. 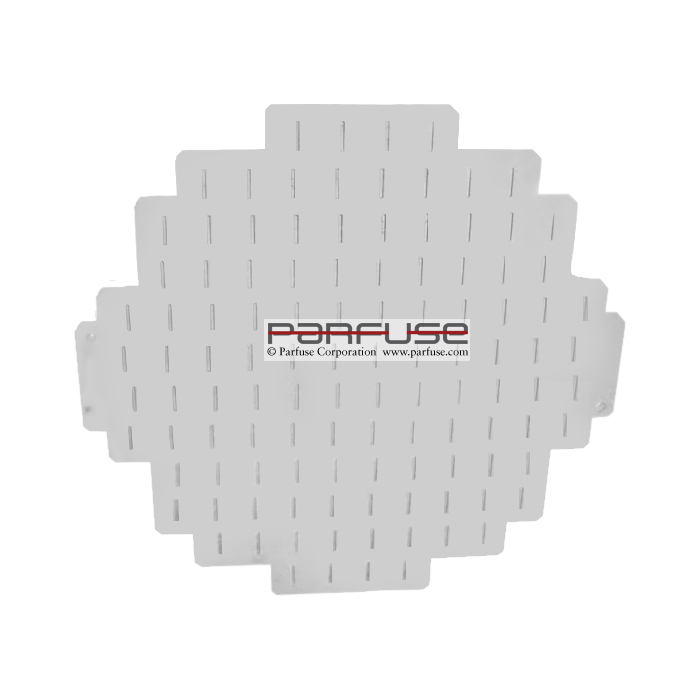 Phased array slotted antenna, over 75 joints tabbed together. 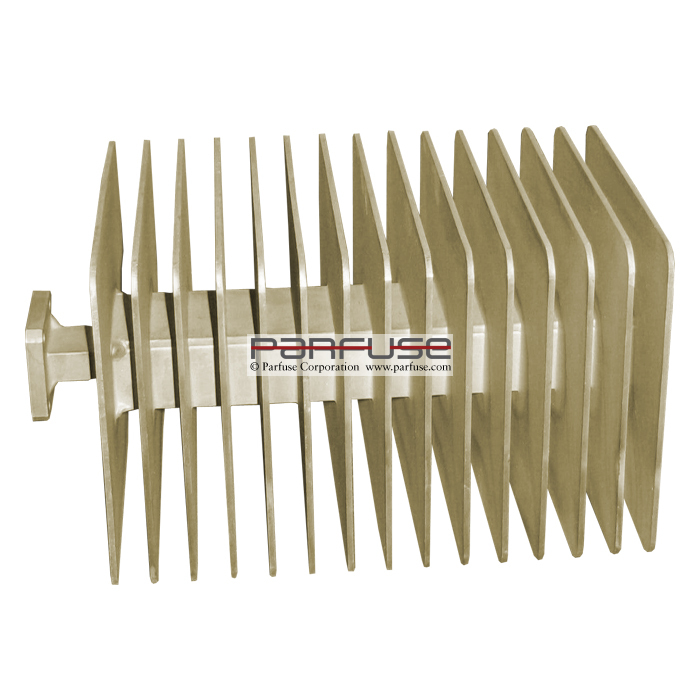 At Parfuse, phased array antennas are a common dip brazed assembly. 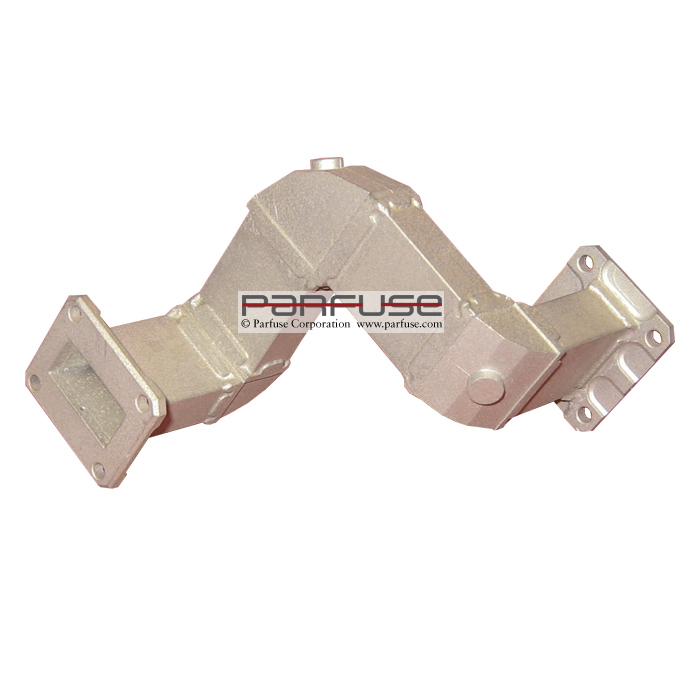 Multiple joint waveguides held under 150 PSI with twists, castings and flanges in a total of 62 joints brazed at one time 28 inches long (WR 284). Finned termination. 19 different joints at one time, flanges and fins kept square within .005 inch. Holds pressure to 100 PSI without leaking.